We’re here for you and your dog 24 hours a day, every day. With 24/7 webcam access, and 24/7 drop-off & pick-up, you’ll always be close to your pet—even when you’re far away. From our spacious dog daycare play areas to our beautiful boarding accommodations and grooming services, Pooch Hotel is the premier home away from home for your beloved pet. We love dogs. We love them like you love them. While they’re boarding or hanging out in our daycare, they’ll get just as much attention and affection as they do at home. And don’t worry, their health and safety is always our #1 priority. Make sure to take advantage of our 24/7 drop-off & pick-up, on-site dog grooming and spa services, and competitive pricing. 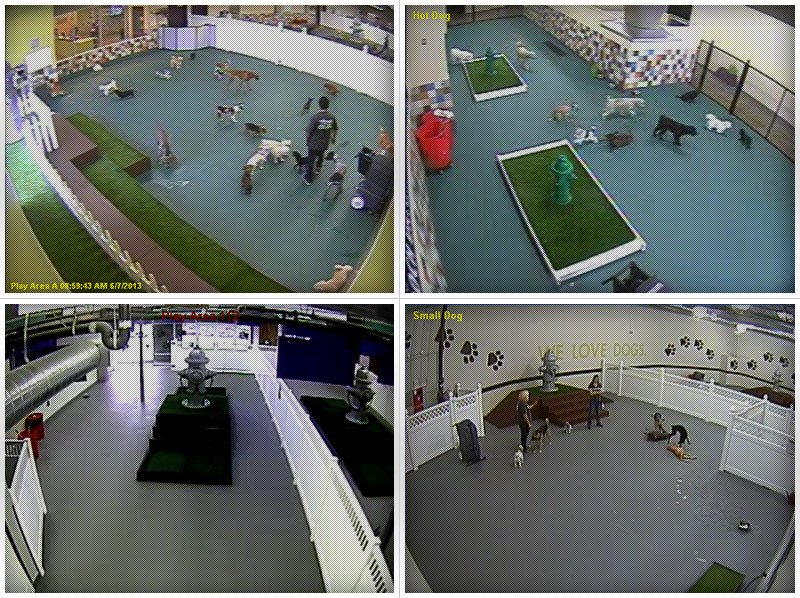 Plus, check in on your pet anytime you want with our 24/7 webcams. Doggie Daycare at Pooch Hotel is where dogs rule. We have multiple play areas that allow your dog to run! Many of our facilities even have pools. Our Team Members keep it fun and safe for all: big, small and all sizes in-between. Exceptional dog boarding services and pampering (with a side of fun!) await your loyal companion when they board with us. They're getting a vacation too. You can even drop in virtually to see how their day is going via webcam. This is no one-size-fits-all hotel. You can customize your pup's experience whether you have a lounge hound who likes relaxing or a go-go-go canine. Our Spa offers plenty of grooming extras for every one of our furry guests. Join us for our Positive Dog Training program. We work with you and your dog to learn dog-friendly communication and environmental management in an engaging setting. Our classes are designed to help you and your dog succeed.